The Open Arms Animal Rescue is a non-profit 501(c)3 no-kill animal rescue organization. 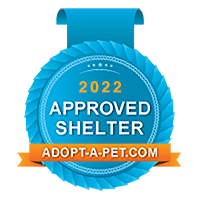 We work to find homes for the many homeless animals in our community. The Open Arms Animal Rescue of Indiana, was founded in 2014. Our organization is dedicated to rescuing homeless and abandoned animals. By working with committed volunteers, foster homes local veterinarians, trainers and pet stores, we are able to rescue dogs and provide them with loving temporary care until a well-matched, carefully screened forever home can be found. Please visit adoptapet.com to view all of our available dogs. If you are interested in adopting or fostering feel free to fill out the application and someone from our office will be in contact with you shortly.